—When working hard doesn’t produce desired results. —When it’s time to move—on or over? It hurts to give up on dreams, but sometimes it hurts MORE to pursue them. 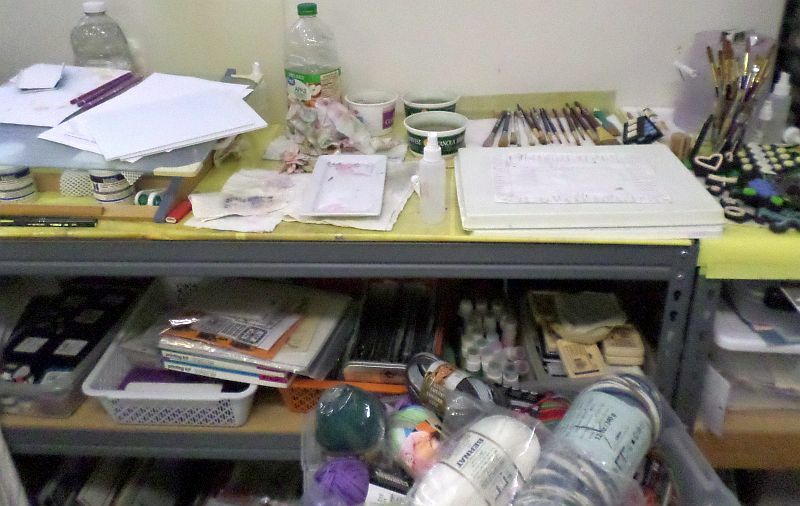 —How about: when you can’t get to your painting station because boxes of yarn block the way? You can’t see all the other plastic storage bins of yarn that are also blocking passage. Imagine here a picture of my abandoned writing station; it’s been abandoned so long I don’t have anything to take a photo of anymore. I think we’ve established the fact that I’m an artist of some kind—complete with artistic temperament (though I’m not into drunken rages or ear removal). Maybe my feelings aren’t more touchy than those of the average person who refuses to consider themself an artist. But in a sleep deprived state my feelings tend toward dive into depression and it’s harder to keep them in check. For nearly four years I’ve been an administrator on the Facebook Pin Loom Weaving Support Group. In some Facebook groups the admin doesn’t do a lot of interacting. (I belong to a few wherein I have no idea who the admin is.) But as an admin I like to be really involved. In this particular group I’ve done a lot of on- and off-scene work. If there’s been a problem—whether or not I was involved—and someone left the group, I’d try to follow up if I could reach them. A number of people contact me with questions or concerns. This doesn’t happen all the time, but frequently it happens in little clumps. I don’t really want to dwell on the much ado of the Facebook group. It’s an illustration of warning signs, I guess: Time to Let Go approaches. When is it to time to call quits? I stopped pursuing publication when someone said something I perceived as unkind—but really that was just my cue call; the decision was already in the wings. 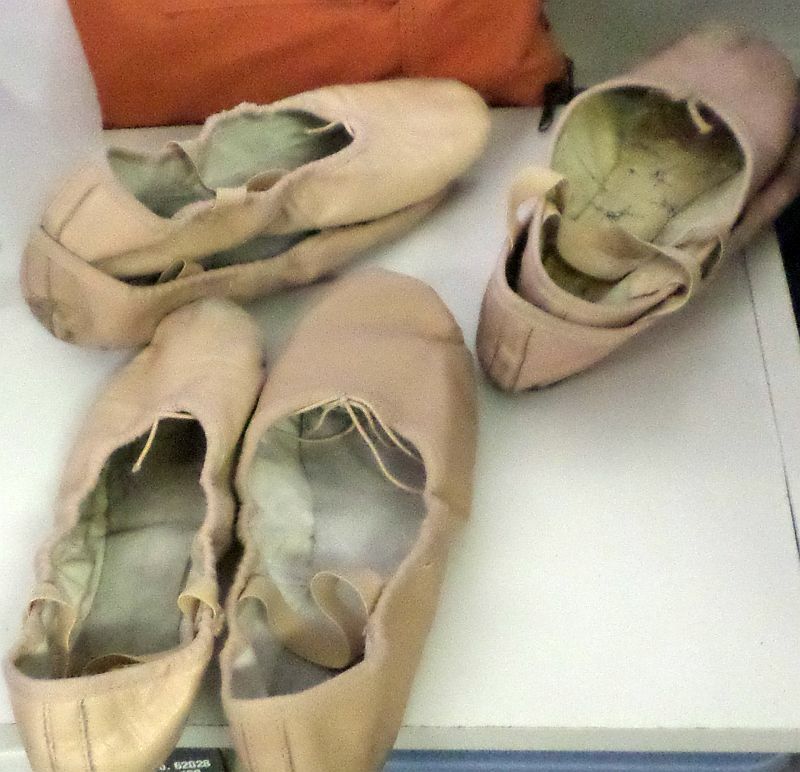 I stopped dancing and teaching ballet classes because I couldn’t handle it anymore—again, after much clinging to the dying dream. I’m not sure when I gave up the fantasy of becoming an artist, but it was beyond time to give it up. I still write, draw, and dance. (I recently attempted ballet again and arggggh! I mean to say, what were they thinking?) But it’s different now, more relaxed, more like hobbies. There’s no dream-goal driving a pursuit. Some people call it quits when they’re ready to move on to something new. I don’t know if there’s something new ahead of me, so that’s not my reason. It’s time to move though. I’ve been sitting in the same chair far too long. Along with writing, dancing, and art I will continue pin loom weaving. I won’t be admin on the PLWSG anymore, and probably won’t spend much time on Facebook. Guess I’d call that quits. I am fairly new to pin looms and this site and have enjoyed your posts. I do however, understand your decision. Having been too nvolved in too many things in the past and not having the sense to quit, I applaud your strength.. Thank you Marjorie! I’m always grateful when people appreciate the meaning of what I’ve tried to say. I wish you luck and happiness with your pin looming and all other pursuits. Thanks again for reaching out.